You know that very first clementine of the season? You peel back the fragrant skin and pop a little bright orange wedge in your mouth, and the taste of that tart juice makes you think of everything you love about winter? It makes you want to open a Christmas present with one hand and sip mulled wine with the other (presumably in this fantasy you have three hands, so you can finish your delectable clementine). Well, this was not that moment. The lazy way: all I did was to gently peel the outer layer of skin off each clementine with a vegetable peeler (trying to get as little of the white portion underneath as possible). If you have a zester that makes nice thin lines or curls of peel, even better, because then you can skip the next step. Then chop the peels into very thin short strips. Take the clementine wedges, trying to remove as much of the white part on the outside as possible, and just throw them all in a food processor (unless they have seeds- then you have to remove those first). Pulse it until you have a soupy mess of clementines, and then put it in a pot with the strips of peel, the juice from two large lemons, and about 1.5-2 cups of sugar (I used half white, half light brown). I also added some fresh grated ginger – about 2 tablespoons – as an afterthought about halfway through. Bring it to a boil, and then simmer for about an hour. 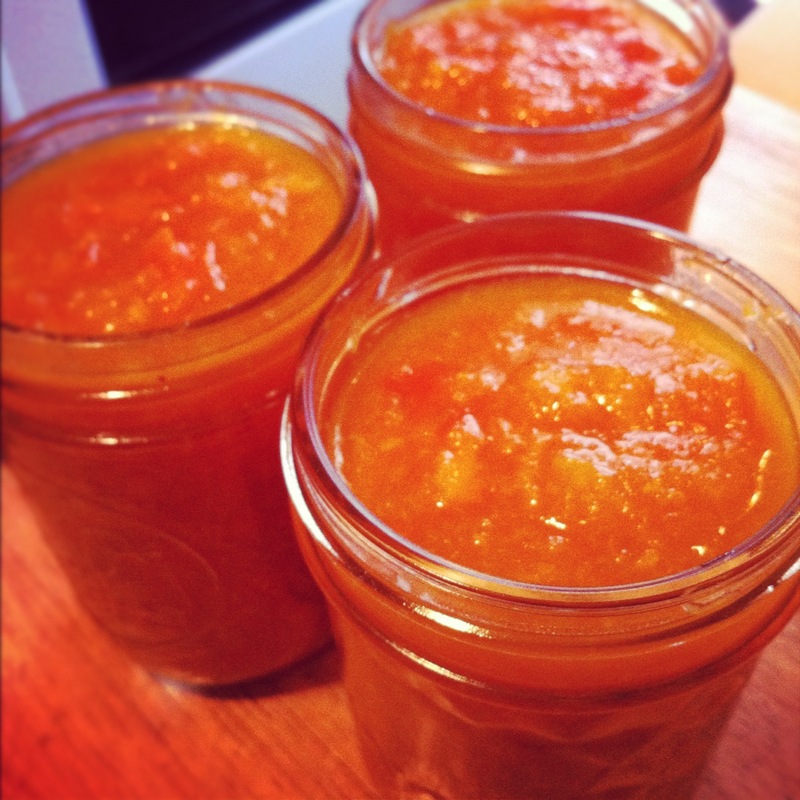 Scoop it into glass jars and let it cool. It will firm up a little as it cools. I didn’t do any kind of fancy canning procedure, so this needs to be refrigerated, but if you have the means to can or jar things so that they’re shelf-stable, by all means do that! I think it’s supposed to stay good in the refrigerator for up to a year this way though. 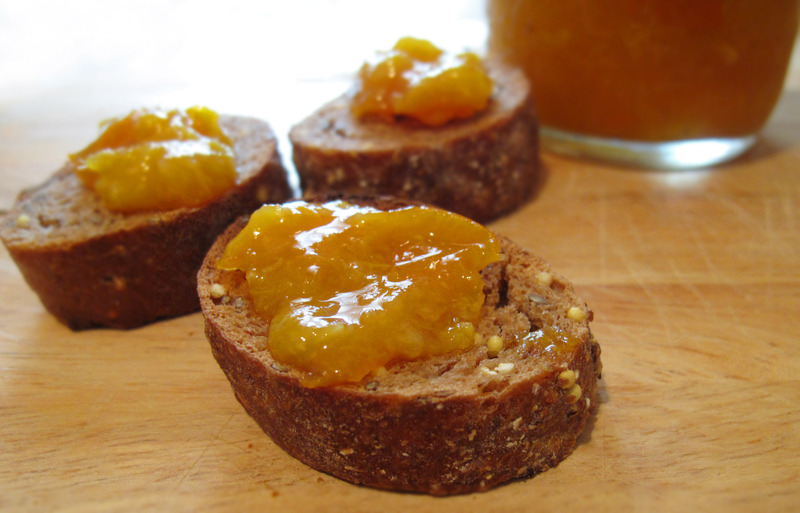 This entry was posted in Cooking adventures and tagged citrus, clementine, fruit, marmalade, sauce. Bookmark the permalink.